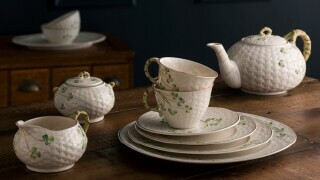 Belleek designers Catherine Townshend was inspired by Irish heritage and the craft of handmade lace. The detail on each piece consists of lace like embossing interwined with a shamrock pattern that is accented by hand painting. The art of Irish lace making originated in the 1820s and is still being made near our designer's home in Carrickmacross, County Monaghan. Irish lace accents decorate fine homes worldwide-an elegant dining room table cover or beautiful curtains in both modern and traditional homes-a cherished heirloom. The wedding dress worn by Catherine, Dushess of Cambridge and Princess Grace of Monaco featured intricate Irish lace. 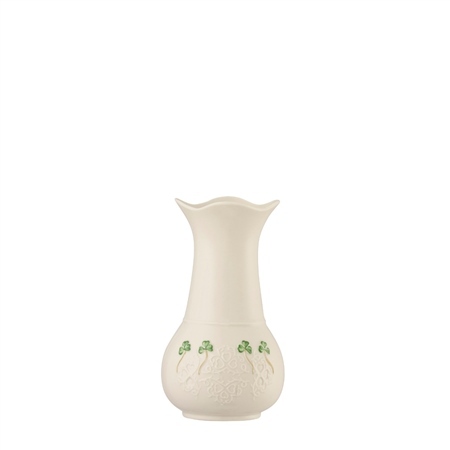 This Shamrock Lace vase has been designed to be a statement piece with or without flowers. 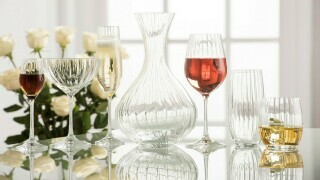 The simplicity and power that the design holds will ensure that this piece makes an impression. 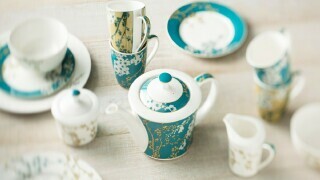 Ideal or Irish Wedding or Engagement Gift.